Keith Biggers is the founder and President/CEO of Candor Healthcare. He has over thirty years’ experience in the medical field. He is currently working on his twentieth medical development/management project. Prior to Candor, he served as President of Cirrus Health where he led the organization of physician/developer partnerships to operate eight surgery centers and two hospitals and helped grow the company to a valuation of over $170 million. Keith has a proven track record for building successful organizations by creating a vision, executing strategy and developing the appropriate infrastructure to maximize the enterprise and shareholder value. 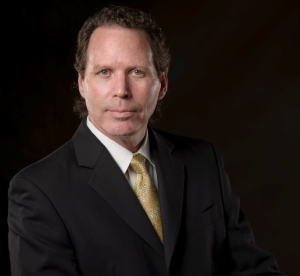 Keith began his career in the medical field with Anago, Inc. as vice president of sales. He helped Anago develop a worldwide manufacturer/distributor network of surgical products. Anago sold to Tecnol Medical (Kimberly Clark). Keith then joined Computer Motion, a medical robotics company now known as the da Vinci Surgical System, as national sales manager, where he built a sales team to train surgeons in the use of medical robotics for surgery. In 1996, Keith co-founded Surgical Sense, Inc. He was instrumental in the company’s patenting process, manufacturing, operational oversight, marketing and distribution of this revolutionary product. Keith earned international recognition for the market introduction of the “Kugel Hernia Repair”, while training over 3000 surgeons in the use of this procedure. In 2000, SSI sold to Davol, Inc., a division of C.R. Bard. Keith attended the United States Air Force Academy and McMurry University where he received a B.A. in Mathematics. He is on the board of The Center for Global Studies and the Advisory Board to the President of Global Advance. He currently resides in Southlake, Texas, with his wife, LoriAnn.